As a contractor or design professional, you’re expected to know what the emerging trends. Your clients are trusting you to lead them to timeless choices that will look great today and still be attractive over the coming years. Interior designers throughout South Florida rely heavily on Crema Marfil marble because it’s elegant, luxurious, and timeless. It’s one of the top choices because it works with any décor, adds visual appeal to spaces, and is sure to please clients. Easy to care for and highly durable, it’s a flooring choice that will be in demand for decades to come. Marfil is Spanish for ivory, and this natural tile consistently features an attractive ivory tone that’s perfect for all types of settings. Hotels routinely use it in their lobbies or restrooms, homeowners install it in kitchens, and you can even use it out on patios. The overwhelming color is ivory, so it’s the perfect choice for monochromatic floors. However, Crema Marfil marble from Nalboor Tiles is not a solid shade. Every tile will feature a variety of yellows, gold, and even minor red veins that add just a touch of movement and style. The polished surface reflects light to make any area feel larger, and the color variations add interest to the space. Marble is known for being easy to clean, and that makes it a prime choice for oceanside properties. If your clients are frequently dealing with sand or mud that’s tracked in, then they’ll appreciate how simple it is to sweep and mop the surface. All homeowners need is a damp mop to remove spills, pull out mud, and leave the floor looking like new again. It is recommended that homeowners seal the marble to prevent it from staining for any reason. A tile and stone sealer will create an invisible barrier that protects the marble surface from moisture intrusion. It won’t alter the natural look, but it will keep the tiles looking great for years to come. Crema Marfil is unique in that it works beautifully with tropical themes. The light colors balance nicely against the teal shades that are popular in semi-tropical areas. It’s an elegant addition to airy rooms that are finished with earth tones, and it can even work with white kitchens. With the warm tones in the tiles, it also fits in with wood tones and even modern black finishes. This makes it ideal for all types of homes across Southern Florida. In addition to working well with tropical themes, Crema Marfil marble is also at home in modern and traditional rooms. It doesn’t matter if you’re going with sleek stainless furniture throughout the living room or embracing a Victorian style. Crema Marfil will look great, and your customers are sure to be impressed. It’s a timeless choice that never becomes dated. As a contractor, you know that certain materials either fall out of favor or become damaged with time. Carpeting colors fade and become dated. Patterned laminates can link a house permanently with the decade it was built in. 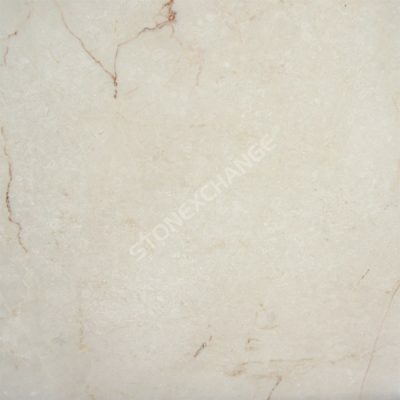 Luxurious marble tiles, however, are a building material that will never fall out of fashion. The marble that your clients love today will be the marble that potential buyers are going to love in a decade. Homeowners can change out the décor and be confident that the flooring will still look great. Businesses can update their wall colors and fixtures without replacing the marble tiles. Homes in South Florida have several spaces that straddle the interior and exterior of the property. Lanais give way seamlessly to pool decks, and the entire space may be finished off with shady arbors and even screens. These areas are designed to feel like an indoor room while being open to the elements. Concrete is a little too rough, but marble can make the transition perfectly. This is because Crema Marfil marble from Nalboor Tiles is ideally suited to exterior use. It can handle the water, direct sunlight, and regular traffic. You can use it with confidence on restaurant patios, front porches, and even around a hot tub. Another great benefit of Crema Marfil is that there’s an abundance of it available. One of the most common marble styles, it’s still elegant and beautiful. However, you can be confident that you’ll be able to order more at any time. You can add it to the list of materials for your custom homes or new subdivision. When you’re ready to build up your stock, you just have to place an order to have the desired sizes delivered right to your door. Residential contractors throughout the region rely on Nalboor Tiles for their Crema Marfil marble. With a range of sizes available, it’s easy to find the right dimensions for all types of projects. Contact our professionals today by submitting a request online, or call us direct at 305-501-4548. We can handle custom orders, and our wholesale prices will help you improve the profit margin on all types of residential jobs.